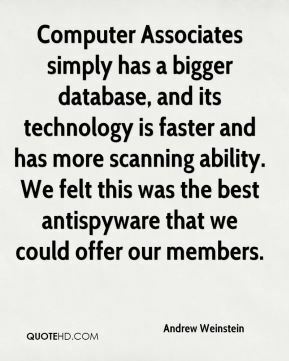 Computer Associates simply has a bigger database, and its technology is faster and has more scanning ability. We felt this was the best antispyware that we could offer our members. As we've said, we support interoperability of instant messaging. We are working with the IETF and think the standard should protect the privacy of AOL's users. We're also working with Apple, Sun, Real Networks, and Novell to move to a standard. 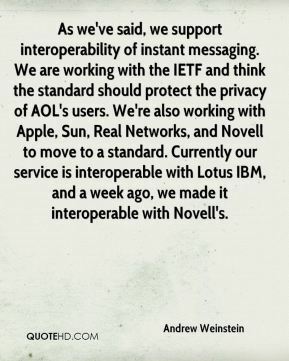 Currently our service is interoperable with Lotus IBM, and a week ago, we made it interoperable with Novell's. 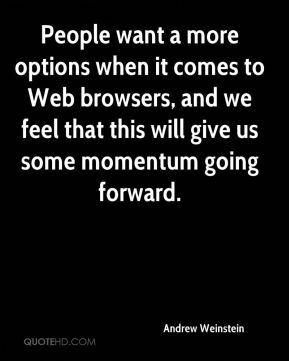 People want a more options when it comes to Web browsers, and we feel that this will give us some momentum going forward. We did not comply with the request made in the subpoena. 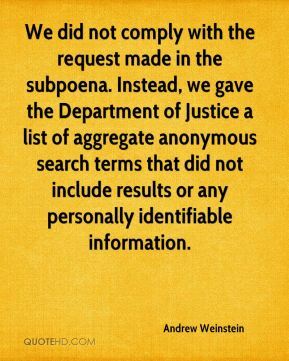 Instead, we gave the Department of Justice a list of aggregate anonymous search terms that did not include results or any personally identifiable information. It's skyrocketing. 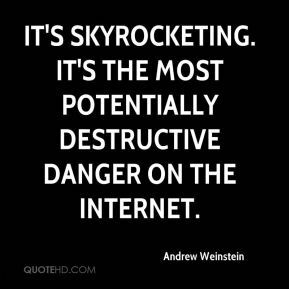 It's the most potentially destructive danger on the Internet. 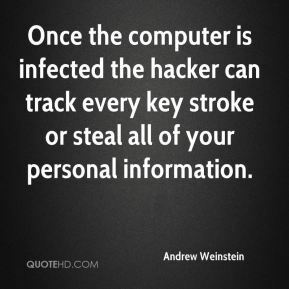 Once the computer is infected the hacker can track every key stroke or steal all of your personal information.